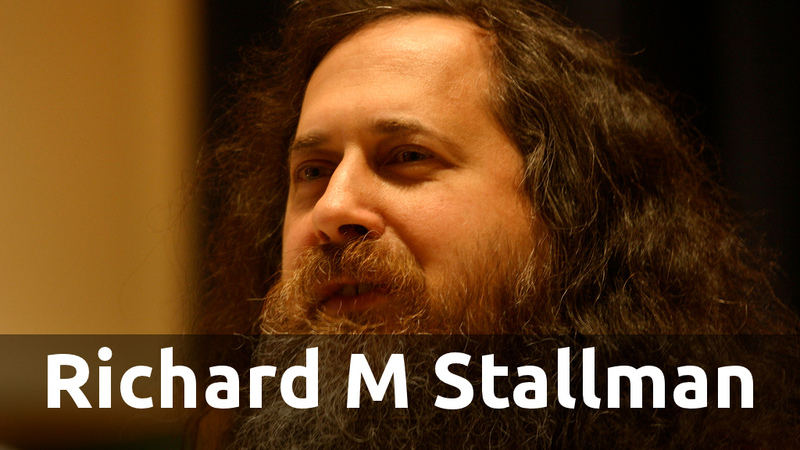 Stallman was born in 1953 in New York City. His first experience with computers was in high school at the IBM New York Scientific Center. He was hired for the summer to write a numerical analysis program in Fortran. 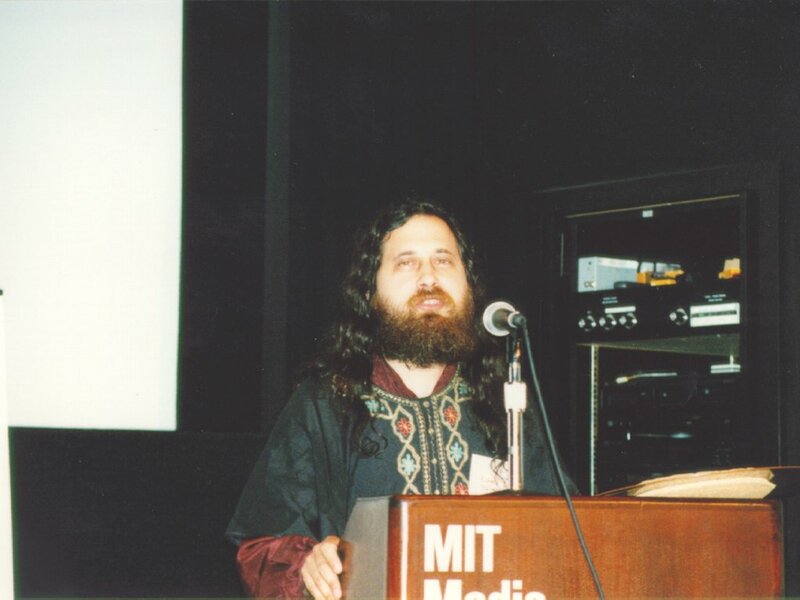 Stallman spent the summer after his high-school graduation writing another program, a preprocessor for the PL/I programming language on the IBM System/360.Stallman was also a volunteer laboratory assistant in the biology department at Rockefeller University.In his first year at Harvard University, Stallman was known for his strong performance in Math 55. In 1971 he became a programmer at the MIT Artificial Intelligence Laboratory.He joined the group of hackers at the MIT Artificial Intelligence Laboratory. As a hacker in MIT’s AI laboratory, Stallman worked on software projects like TECO, Emacs, and the Lisp machine Operating System. He would become an ardent critic of restricted computer access in the lab, which at that time was funded primarily by the Defense Advanced Research Projects Agency. Richard Stallman is considered to be the founding father of free software. He began thinking about this while he was working in the Artificial Intelligence Laboratory at MIT. The lab used a printer that often broke down, but because the lab workers had the source code of the printer’s driver at their disposal, they were able to modify the program so that the printer would send an error message to everyone’s workstation every time it broke down and whoever was available would go the the printer room and fix the problem. One day the lab bought a new, more reliable printer from Xerox. Unfortunately, the source code of the printer driver was not included in the package, and they were unable to put in place the same kind of maintenance set-up they had used before. Richard Stallman later heard that another scientific laboratory had a copy of the source code of the Xerox driver. When he tried to obtain it, he was told that the lab had agreed to keep the source code to themseves and not to make it available to anyone else. Stallman was quite offended by this selfish attitude, and it was then that he became aware of the dangers of a proprietary system. In 1985, Stallman published the GNU Manifesto, which outlined his motivation for creating a free operating system called GNU, which would be compatible with Unix. The name GNU is a recursive acronym for “GNU’s Not Unix.” In 1984, Stallman started the influential GNU project to develop a free operating system called GNU.In February 1984, Stallman quit his job at MIT to work full-time on the GNU project, so that MIT would not be able to claim the copyright on the GNU software, but the university was kind enough to let him use their computers. In 1985, Stallman founded the Free Software Foundation as a tax-exempt charity for development of free software. Knowing full well that it is impossible to use a computer without an operating system, it became clear that the first project of the foundation should be to put together a complete and free operating system,The GNU Project!! The operating system would be compatible with Unix, yet different. In 1989 the first program-independent GNU General Public License (GPL) was released. By then, much of the GNU system had been completed. Stallman was responsible for contributing many necessary tools, including a text editor , compiler , debugger , and a build automator . The notable exception was a kernel. In 1990, members of the GNU project began a kernel called GNU Hurd, which has yet to achieve the maturity level required for widespread usage. Stallman has devoted the bulk of his life’s energies to political and software activism. Stallman has written many essays on software freedom and since the early 1990s. In 1999, Stallman called for development of a free on-line encyclopedia through the means of inviting the public to contribute articles.The resulting GNUPedia was eventually retired in favour of the emerging Wikipedia, which had similar aims and was enjoying greater success. Stallman has participated in protests about software patents,DRM,and proprietary software. Protesting against proprietary software in April 2006, Stallman held a “Don’t buy from ATI, enemy of your freedom” placard at a speech by an ATI representative in the building where Stallman works, resulting in the police being called.ATI has since merged with AMD Corporation and has taken steps to make their hardware documentation available for use by the free software community. Stallman has also helped and supported the International Music Score Library Project in getting back online, after it had been taken down on October 19, 2007 following a cease and desist letter from Universal Edition. Richard Stallman, , believes that companies like Facebook and Google aren’t helping their users, but are in fact doing the exact opposite because of how they run their social networks. In an interview with RT, he briefly criticized both Facebook and Google+, but then underlined how the former has worse practices than the latter.“Facebook does massive surveillance,” Stallman continued. “If there is a Like button in a page, Facebook knows who visited that page. And it can get IP address of the computer visiting the page even if the person is not a Facebook user. So you visit several pages that have Like buttons and Facebook knows that you visited all of those, even if it doesn’t really know who you are.”You can watch the Stallman interview, which discusses many issues beyond Facebook and Google+, below.